iPhone development shop Camiloo hit the news last month after it received a Cease and Desist notice from the BBC over its unofficial iPlayer client. Now Camiloo is bouncing back with an app that it hopes will become an essential tool for every car driver. 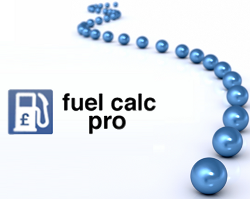 Fuel Calculator Pro (iTunes link) allows you to keep an eye on the price of your journeys with in-depth stats about the amount of fuel you’ve used, and how much it has cost you. Although there are a number of ‘odometer’ apps already available, Camiloo hopes to beat the competition with a database of 31,000 cars preinstalled meaning you don’t have to manually enter dull details like your engine size before you can use it. Fuel Calculator Pro uses the iPhone’s GPS data to allow you to start the app in the morning when you are about to leave for work, enable the odometer within the app and then lock your phone. The odometer uses your GPS to track your mileage as you drive. When you arrive you can save your journey to the trip log and send it via email if you choose. UK-based Camiloo’s Mark Newby tells me that tests have found GPS-powered speedometers report more accurate speeds than in-car speedometers and they have even been used to overturn speeding tickets. For professional drivers and those with company cars this could be a really useful app. Camiloo is currently attempting to boost the number of reviews of the app by running a competition to win free fuel (UK only) or a refund for the price of the app. While we’re surprised that Apple doesn’t ban ‘prizes for reviews’ competitions, it might be worth a look before the end of this week if you’re interested in the app. Details are available at the app’s temporary website.